Imagine one day, you will never feel guilty anymore while shopping buying and throwing away so much plastic packaging going back home. Because the problem is huge. Let’s take the example of UK ONLY. Figures from the Environmental Investigation Agency (EIA) and Greenpeace UK reveal 10 major retailers are placing more than 810,000 tonnes of single-use plastic on the market every year. TIPA is on a mission to probably change this plastic waste history. 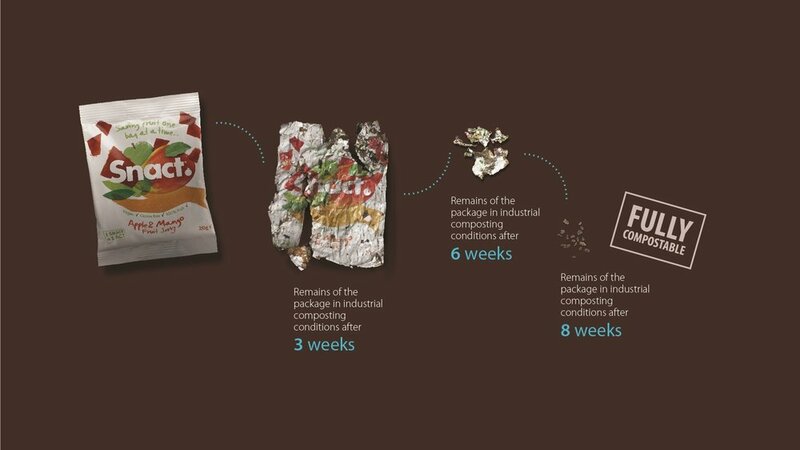 TIPA has developed breakthrough fully compostable flexible packaging solutions. Inspired by Earth’s natural packaging, TIPA provides packaging that breaks down entirely into compost in the same biodegradation process as organic waste. The company is committed to converting industrial flexible plastic to TIPA’s compostable packaging, such that plastic will no longer linger in landfills for hundreds of years, but will biodegrade within months in a sustainable end-of-life process. TIPA solutions were designed with the goal of achieving a circular economy through a true recycling process. Since its inception in 2010 by co-founder and CEO Daphna Nissenbaum, TIPA has developed a vast portfolio of products based on innovative technology. TIPA works closely with businesses of all types to design and provide packaging ideal for their specific application, which ranges from fresh produce and snacks to magazines and apparel. TIPA operates on a global scale and their compostable polymer technology is applicable worldwide. An estimated 8.3 billion tons of virgin plastic have been produced in the world until now, nearly 70% of which has been used only once before being discarded into landfills and open ecosystems. Waste from flexible plastic packaging has become an epidemic, littering our oceans and forests with microplastics, and polluting our air and bodies through incineration and ingestion. TIPA is thus actively replacing conventional plastic with viable compostable solutions in an active attempt to end plastic pollution. Packaging, food and fashion industries are tackling this problem head on by utilizing TIPA’s sustainable solutions, whose packaging can be found in high-end online retail stores, conventional-plastic-free supermarkets, as well as local farms. The world is transitioning into implementing sustainable solutions, as we realize how feasible it is to replace conventional plastic with a compostable alternative. TIPA’s technology is revamping the industry, providing a solution where there wasn’t one before. TIPA has been co-fouded by Daphna Nissenbaum, CEO of this innovative company. Daphna Nissenbaum, CEO and co-founder of compostable packaging company TIPA Corp.
For many days I walked around with the feeling that there must be a solution to this problem. I asked myself: what can I throw into the waste bin without guilt? The answer was obvious – organic waste – for example, an orange peel. I knew that there were biodegradable bottles from corn but for some reason, they were not widely used. Then it hit me! 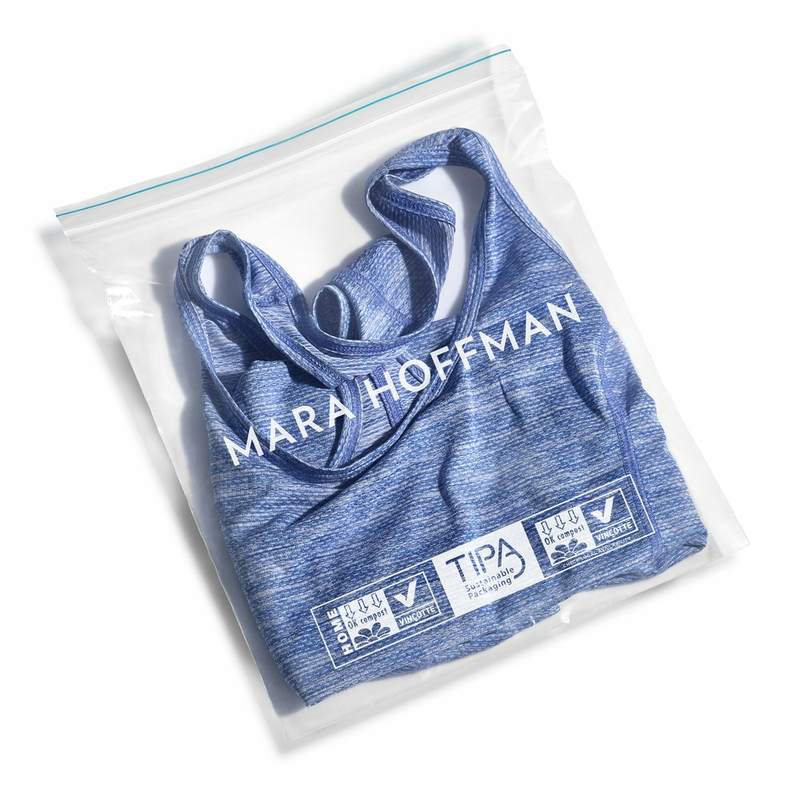 What if I put water in a bag, a bio-degradable bag? And like an orange, we will eat or drink the content of the package, and dispose of the package into the organic waste stream. The package will then decompose and go back to nature. If that happened, I wouldn’t have to worry anymore about my kids not bringing their water bottles home! At that point I met my co-founder. We started working together on designing cool water bags for kids, athletes, adults and more. We also hired bio-plastic experts to find the appropriate materials for those beverage bags. After six months, they came back to us and said that there was no biodegradable material on the market that was suitable for the bags. They suggested we come back in a few years and make the same inquiry. We thought to ourselves: well, humanity landed on the moon, so how difficult can it be to make this biodegradable bag? We had no idea at the time how difficult this could be. That’s how TIPA, our company, was founded. 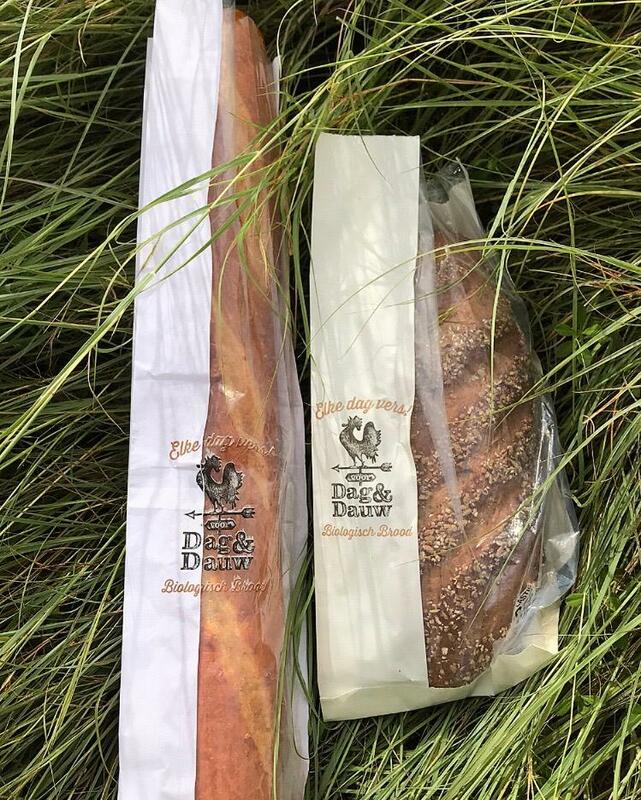 The more we continued working on the solution and analyzing the packaging market, the more I realized two very important things: the first was that flexible biodegradable packaging is not so easy to develop. The gap between conventional plastic and biodegradable plastic is quite big and challenging. The second realization was that the problem of bio-degradable or recyclable packaging was most prominent in the flexible packaging segment of the market, a area that is huge and growing. What’s TIPA’s vision about the Plastic Waste Challenge? The food packaging industry has been using plastic for several decades. It’s easy, convenient, and it keeps our food fresh. But plastic is a huge problem when it comes to litter. You can see plastic litter everywhere. In the street, on the beach and in the park. Just think about the supermarket, imagine the aisles. Almost everything is packaged – small-sized portions, large-sized portions, dry foods, fresh or frozen – most of our food is packaged, mainly in plastics. In fact, the food industry is the number one contributor to plastic waste. Food-related plastic waste makes up 66% of the volume and 50% of the weight of total plastic waste. Isn’t someone doing something about the problem? Recycling only takes care of rigid packaging, such as bottles. Why? Because only packages that are made from one polymer can be recycled. But what about the rest? 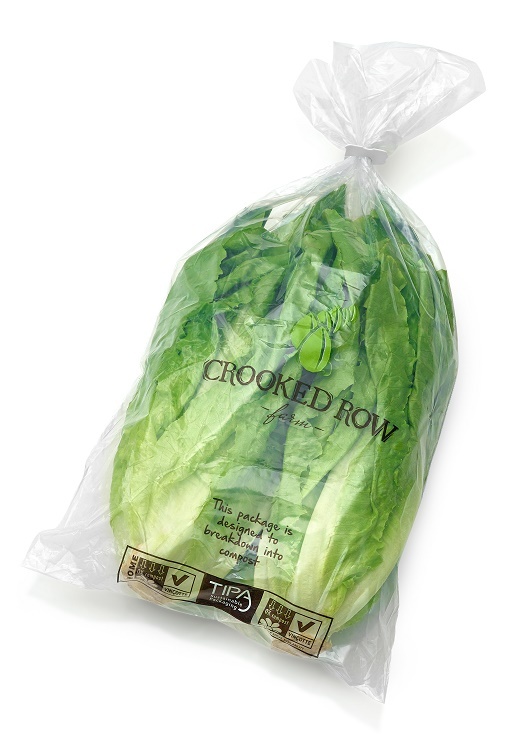 The market size of flexible plastic packaging is estimated at $73 billion dollars (in 2013) and is rapidly growing. As the industry is using more of these packages for food, it is also creating a recycling problem, because this type of packaging isn’t recyclable, because it is made of several layers of materials. This means that there is no real sustainable solution for flexible packaging, we mainly bury (or in some cases burn) flexible packaging. These are the worst solutions in terms of sustainability. Even if we collect our waste into landfills, so our surroundings are clean, these packages will still be around, for hundreds of years. Is this the legacy we want to leave behind us? The vision of TIPA is as such: Imagine that your package was just like an orange peel — you eat or drink your food and your package just goes into the organic waste steam. It would decompose in the same way as organic waste and leave nothing (except fertilizer) behind. 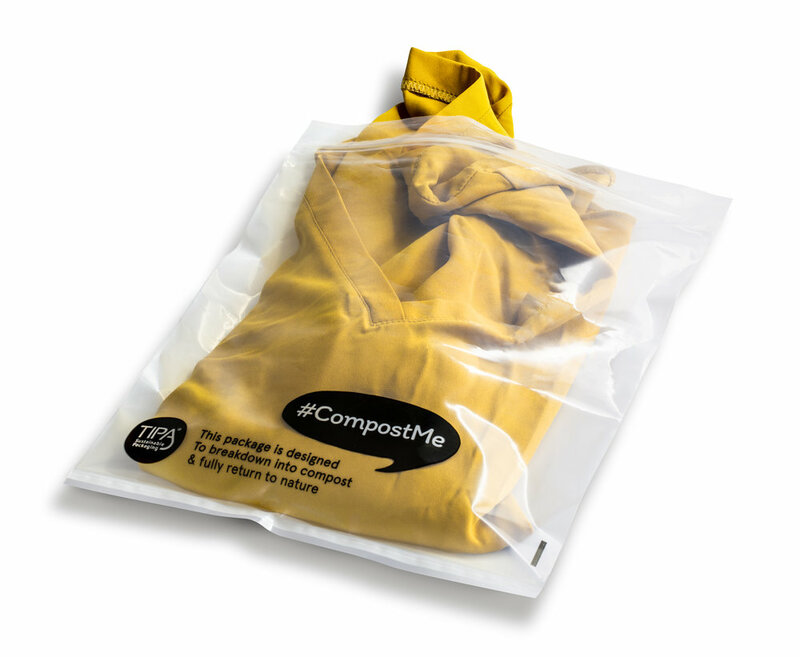 TIPA’s packaging is bio-based and fully compostable. 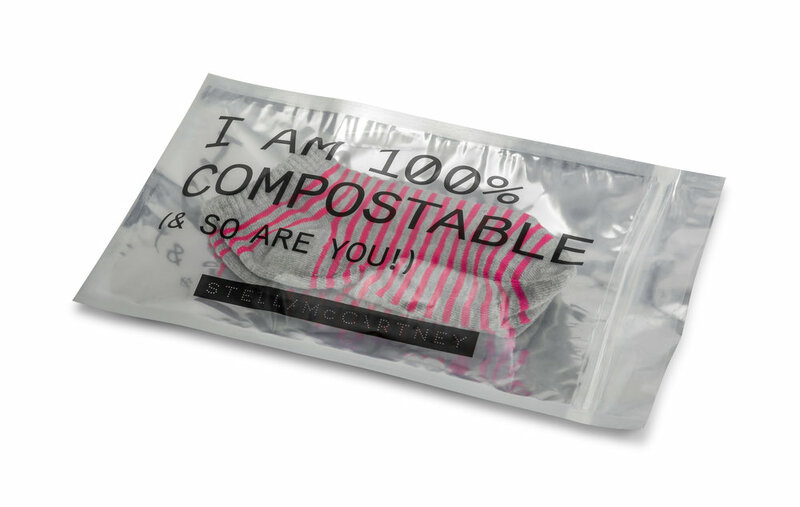 We offer a compostable package that feels like plastic, looks like plastic and has the properties of traditional plastic. There’s just one difference – at the package’s end of life it is fully compostable. What is behind this breakthrough technology? Most biodegradable products today are used for waste bags, shopping bags, disposable utensils, etc. The polymers are relatively weak and tend to break easily and do not have the required set of properties for food packaging. What we’ve done is create a product with a very particular formulation — we take the same compostable plastic and add new properties to the material. We start with the resins. We select the right resins, use these resins to fabricate TIPA’s unique and proprietary compounds and produce films that have properties that are similar to those of ordinary plastics, so the packaging convertor could work with our materials in the same way, on existing machinery. The consumer will have the same experience. According to Mordor Intelligence (this name is real and not a joke!) The flexible packaging market was valued at USD 230.97 billion in 2017, and is expected to reach a value of USD 291.96 billion by 2023. So TIPA is promised to a bright future to probably change the plastic waste history.